With Trevor out of school, we've been doing a lot of traveling. Between trips, we've done a lot of virtual travel through Little Passports! As you know, I am an affiliate for Little Passports, which means that I get a small commission for any purchase made through the links in this post, at no extra charge for you. Trevor and I absolutely love Little Passports and I think you will, too. Little Passports is having a back-to-school sale right now, so if you've considered getting a subscription for your kids, grandkids, or nieces/nephews, now is a great time. This time, Trevor and I learned all about Colorado, the Centennial State. We spent a week in Colorado in 2015, so it was neat to see some of the places we'd visited in the State Journal. Trevor and I started with an activity about the four types of snow skiing in Colorado. Trevor has tried (and enjoyed) alpine skiing and cross-country skiing, but does not see freestyle skiing or ski jumping in his future! Yeah, me neither! We did a matching activity about the four national parks in Colorado and the animals that are found in each. We solved a crossword puzzle about the role of the yucca plant in the ancient homes at Mesa Verde National Park. Next was a hidden picture puzzle about the red rock formations in Garden of the Gods Park. 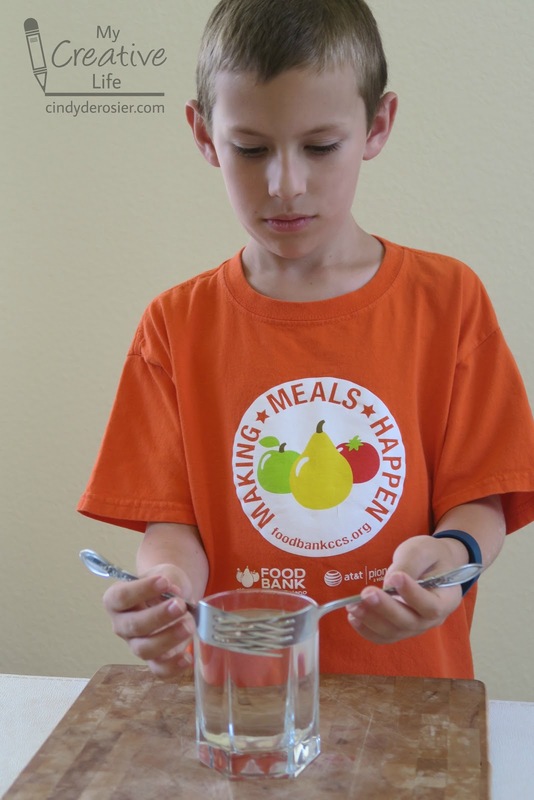 The science activity in the Colorado State Journal taught us all about Balanced Rock in the Garden of the Gods. It looks like it is about to topple, but since its center of gravity lines up with its narrow base, it is quite secure. 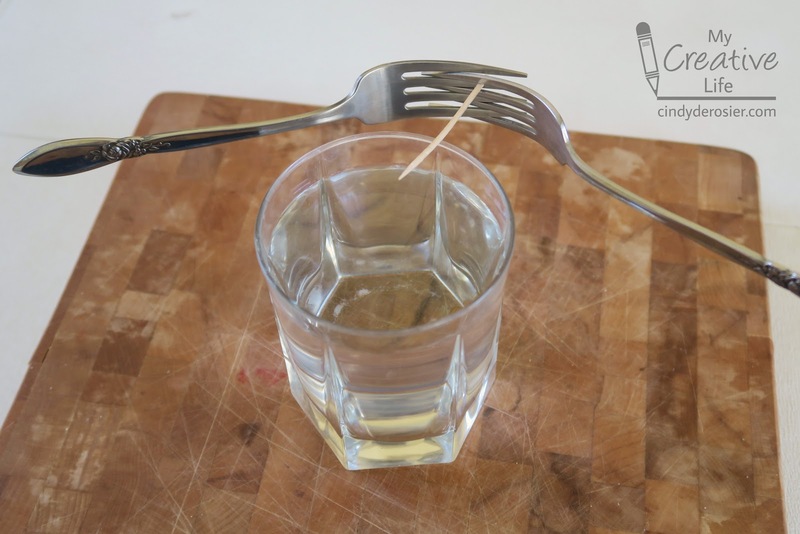 We had great fun exploring the center of gravity of some common household items. 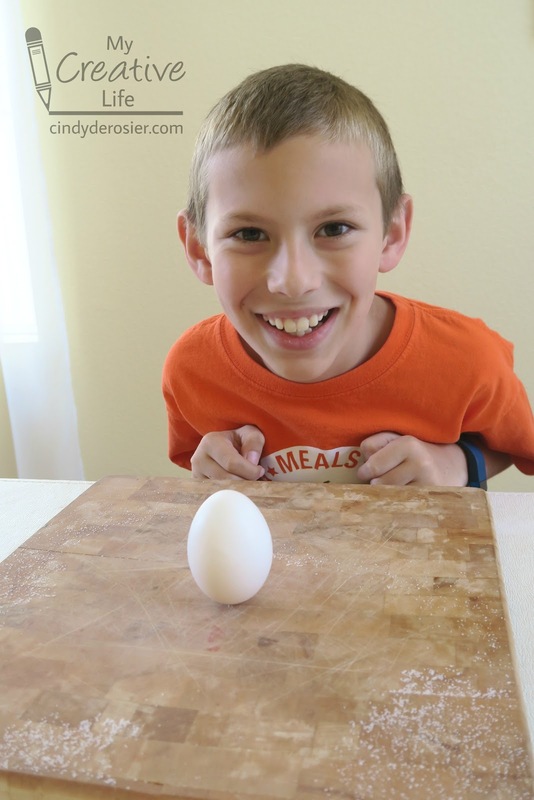 Check it out- Trevor made an egg stand on end! Do you know the trick? 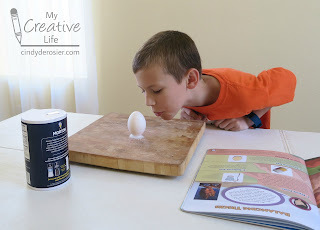 Make a tiny mound of salt, place the egg in it, remove your hands, and then blow away the salt. The egg will stay upright, seemingly defying gravity. Of course, it's not defying gravity. The center of gravity is positioned directly over the base. You can do this without the salt, but it's a lot more difficult to find the center of gravity. 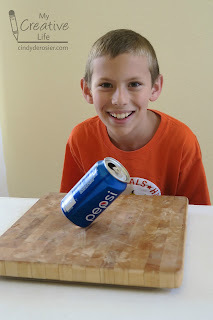 Can you make a soda can stand on end? Trevor can! He showed Steve, who was mystified and convinced there was a trick. No trick! 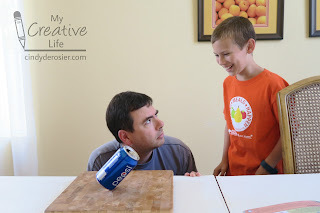 Trevor filled the empty soda can about 1/3 of the way full, then carefully balanced it at an angle. When the water was completely still, he was able to remove his hands and the can stayed balanced. ... but your efforts will be rewarded. Trevor definitely understands what 'center of gravity' means now! Next, we read about the famous events in Colorado history. We learned that its nickname is the Centennial State because Colorado became a state in 1876, one hundred years after our country was founded. We also learned that Colorado's biggest mining rush, the Silver Boom, started after silver was discovered in Leadville in 1878 and lasted more than a decade. Each Little Passports journal is packed with activities. It usually takes us two or three days to do them all. On our second day studying Colorado, we started with an activity about sandhill cranes. And as we expected, there was an activity about dinosaurs. The Morrison-Golden Fossil Area in Colorado has some of the world's best fossil sites. Next, we did a hidden picture hunt about the Durango and Silverton Narrow Gauge Railroad. 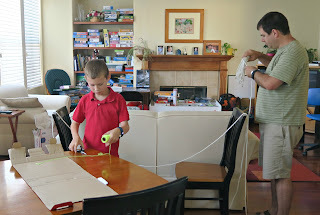 Then we learned how suspension bridges work by building a model of the Royal Gorge Bridge. We needed Steve's help for that! 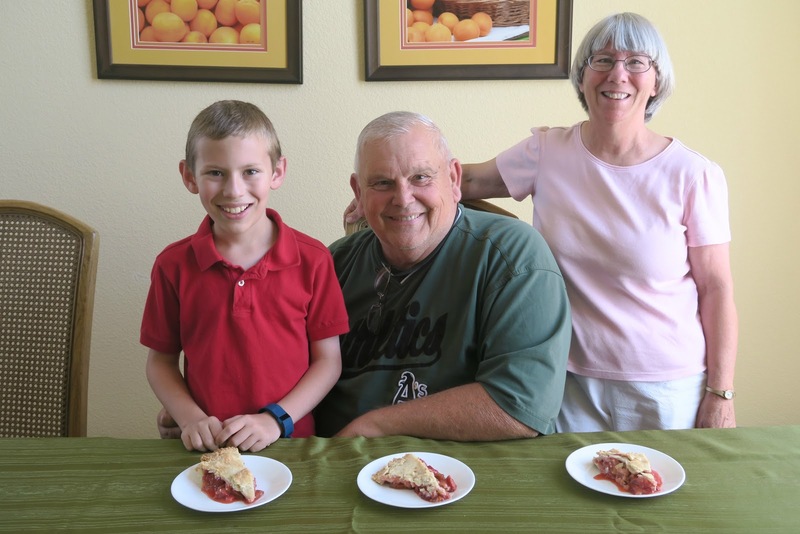 I was SO excited about Colorado's recipe, Rhubarb Strawberry Pie. I'm obsessed with rhubarb!! My parents were visiting, so they were thrilled to get to try Trevor's pie. They love rhubarb almost as much as I do. 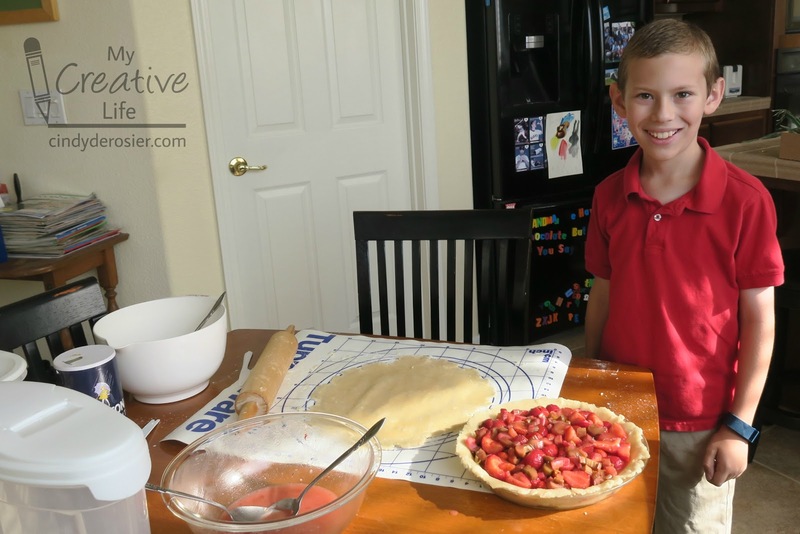 Thanks to Little Passports for another fun and educational virtual voyage! Great post. My grandgirls started their Passport at Christmas. They love it when the mail comes. At 4 and 6 they know a lot about the world, culture, and geography. How fun! Those balancing tricks are pretty awesome!!!!!!!!!!!!!! What fun activities! 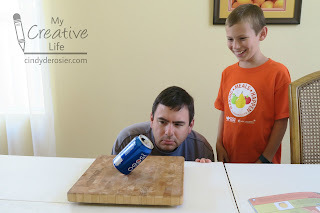 I especially like Trevor's balanced Pepsi can. And rhubarb strawberry pie is one of my FAVS!!! We just attended my husband's family reunion, and his aunt made a delicious one!! !